This four (4) piece kit comes complete with both styles you see in the picture. You can "Mix and Match"! 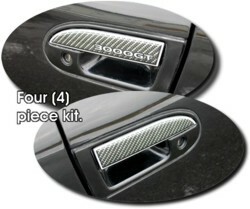 Decals will fit any '91-'99 Mitsubishi 3000GT door handle.